South Park: Phone Destroyer™ lets you team up with all your favorite South Park characters as you’ve never seen them before! This brand new mobile card collection real-time battle game will allow you to assemble a team of South Park characters, and bring them onto the battlefield to vanquish mighty bosses, and other players! Beginning today, you can fight in epic real-time PvP battles and experience a hilarious single player story developed by RedLynx, a Ubisoft Studio, in collaboration with South Park Digital Studios! 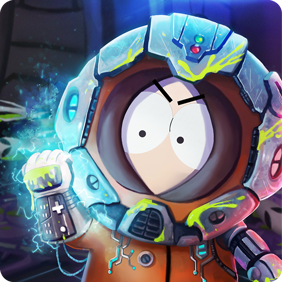 South Park: Phone Destroyer is now available worldwide for compatible Android and iOS devices! Players can also enjoy the game with friends, by joining or creating a Team, where users can help each other progress by sharing cards. Don’t miss out on the action-packed 60 stage campaign, or all the fast-paced strategic PvP action – download South Park: Phone Destroyer now! If you’d like to learn more, tune in to the official Phone Destroyer livestream on Twitch to play with the pros! The RedLynx community team will be conducting a special edition worldwide launch livestream beginning at 9 AM Pacific/12 PM Eastern!